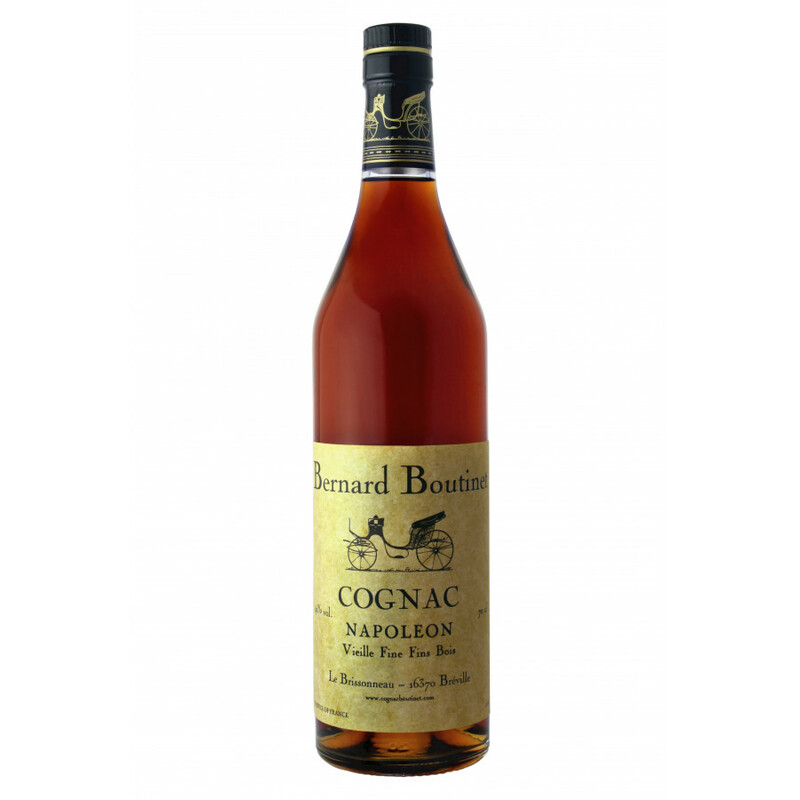 Bernard Boutinet Cognac Napoléon is aged more intensive, which can be seen in colour, and noticed in taste. Over 12 years of ageing in the oak barrel the spirit too some taste and colour. Boasting over two centuries of history and four generations of wine growers and producers, the house of Bernard Boutinet produces a range of cognacs to suit all palates. Located solely in the terroir of Fins Bois, this artisan estate sells its wares directly to the general public. Their brands are easily spotted by the use of the region’s ‘La Caleche’ emblem on the classic style labels that grace the front of all its bottles and decanters. Staying true to the traditional methods of creating the finest eaux-de-vie, Bernard Boutinet Cognac is regarded as a producer of a small but distinguished range of good quality cognacs. This Fins Bois XO has aromatic complexity of exotic fruits and citrus. You may notice some vanilla as well . Pleasant and well-typed.